Blog | How to Build a Patio You Can Be Proud Of - Legends Landscape Supply Inc. Legends Landscaping Inc. will keep you up-to-date on all landscaping news. Congratulations! You’ve taken the first step in deciding to build your own patio. A patio can provide you with a place where friends and family can be entertained all year long. You can spend countless hours with family and friends, creating timeless memories while basking in the sun and enjoying the beauty of your outdoor living space. But first things first! 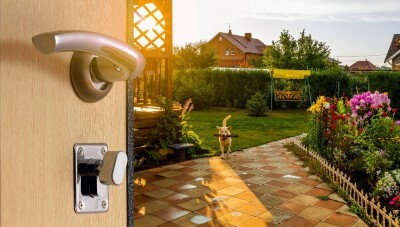 Before you get started, you’ll need a plan and some hassle-free steps to build a patio that will be the envy of your neighbours. Read on to learn more! Assuming you’ve figured out where you’re going to build your patio, you’ll need to make a detailed plan. Measure and mark any unmovable objects like doorsteps and drains, draw in planted areas and then map out where slabs will go so that the amount of cut slabs required are kept to a minimum and discreetly placed. This is also a good time to have local utility companies check to see that there aren’t any underground power lines, communication cables, gas lines or water lines in the area you plan to excavate. Lucky for you, the modern patio builder has a wide assortment of aesthetically-pleasing pavers available right at their fingertips! Whether you want traditional flagstones with a warm rustic feel or something more contemporary, checking in with your local landscaping, stone or masonry dealer is always a good idea. Why not check out the range of interlocking pavers, stone veneer and quarry products available at Legends Landscape Supply? Once your plan has been finalized, and you’ve chosen your materials, lay out lengths of string to mark out the dimensions of your patio in position. You'll need 2" x 2" stakes with that you can drive deep enough into the ground to lay out your project in its planned location. Then tie ‘mason’s string’ tightly between the stakes. Mark the stakes to indicate the excavated depth, which should be about 150 mm (6 inches). It should also allow for a gradual slope away from your property. When digging, remember that you will be adding 4 inches of paver base and about 1 inch of paver sand before adding the paver stones. Use a spade and shovel to clear grass and soil from the work area. Check your depth against the mason line with a measuring tape to make sure you maintain both the proper depth and slope. Use a screed board to level the top surface of the base course. A one by four or any straight edge will work. For the best accuracy, notch each end of the board the thickness of the pavers. Stake temporary edging boards with the top edge matching what will be the top surface of the patio. Drag the screed board between the edging boards. It will leave a smooth surface that is at exactly the right elevation. The patio pavers can be placed right on top of the screeded base course. If you have interlocking or unit pavers, their thickness will be consistent; place them hand tight against each other, one row at a time. If you are using flagstone or another natural stone, there may be some variation in the thickness. With a small trowel, scrape out or add additional sand as needed for each paver. Use a hand level to see that the finished surface is even. Tap each paver with a rubber mallet to set it firmly in place. To hold your pavers in place and keep them from shifting, hammer in edging strips around the patio perimeter. Mulch or turf should hide the edging. Sweep polymeric sand into the paver joints and give the patio a light misting. Repeat as needed until all the small gaps have been filled. Voila! Your patio is ready for use! We’ve helped many of our customers in Burlington, Oakville, Milton, Hamilton and Stoney Creek build their patio from scratch. If you’re looking for a Burlington contractor to take your patio to the next level, we’d love to hear from you. We carry a huge selection of patio pavers and our team of backyard experts are on hand to help you every step of the way. Contact our experts at Legends Landscape Supply for more information. Written on Thursday, March 15, 2018.